Sketches for some of the bigger, badder Crossed forms. Saturn X Gate is pretty straightforward. 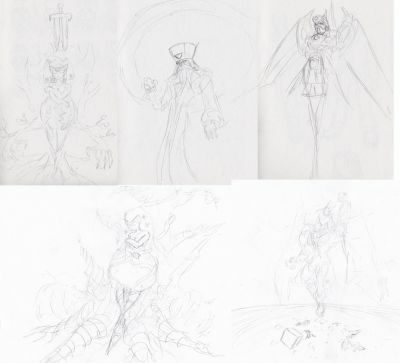 The two Terra X Gaia images and Jupiter X Megaman are actually for second, "final boss" style forms that all the Crossed would have had if I didn't show some restraint and limited that gimmick to Mars because the Mars design was already out there and I at least wanted to follow through on it. The Sunstar one is from early enough in the planning stage that I was thinking maybe he would be an ascended form of Pharaohman. 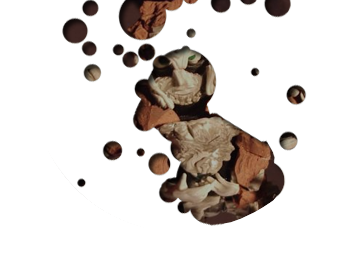 That's him breaking out of the sarcophagus.